Home > Live Wedding Music > CK Entertainment, Inc. The CK Bands have been keeping everyone dancing for many years at some of the most notable corporate and social events in Florida. 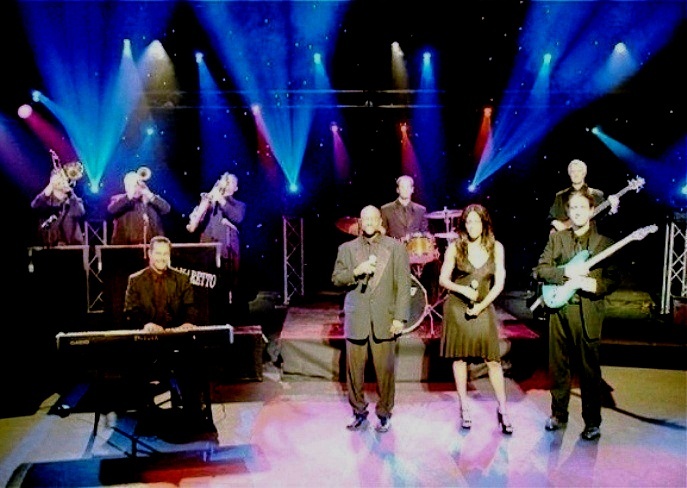 For more than two decades, they covered all styles of music favorites from Standards, Motown, Top 40, Swing, Big Band , to Hip Hop, Salsa, and they are bilingual as well. Their varied song list gives your guests plenty of choices for a well rounded evening of fun that every age can enjoy. The CK bands have played with and for many world renowned celebrities. Tony Bennett, Ray Charles, Marvin Hamlisch, Ben Vereen, Vic Damone, Frank Sinatra, Steve Allen, Chuck Mangione, Smokey Robinson, Marilyn McCoo & Billy Davis, Natalie Cole, Marie Osmond, Temptations, Four Tops, Jon Secada, Bee Gees, Connie Francis, Boyz to Men, Gloria Estefan, Donald Trump, Kathie Lee Gifford, President Clinton and many others. The CK Band’s musicians are among the top studio musicians in South Florida. They all are under the musical Direction of Carey Kleiman. Carey Kleiman received his Bachelors & Masters Degree in Music from the University of Miami. Over his career he has performed and produced with Ray Charles, Frank Sinatra, and Boyz to Men, Kathy Lee Gifford, Tony Bennet, Bee Gees and many other notable celebrities and served as a musical supervisor/contractor for syndicated television Shows. In the 1990’s he formed his own music production company and served as the musical & entertainment director for the Diplomat Hotel working with many of the celebrities and all of the hotel’s convention and social clients. Later he formed CK Entertainment which specializes in corporate & meeting entertainment and notable social events. In addition he is an adjunct professor of music business at FAU & Broward College. From Weddings, to Social Events or Corporate meetings the CK Band is always the Band that will keep your guests dancing the night away! Also call CK for your Caribbean/Reggae, Hawaiian and specialty bands and we will promptly send you a DVD or CD of these groups for your event. Kerri Evans, April 17, 2017 11:29 pm business - CK Entertainment, Inc.